Nose: A very complex nose on this one. Sweet fruits; citrus, peaches and orange zest at first, with a gentle, peaty earth aroma reminiscent of dunnage warehouses. Palate: Rich and very very tasty. Great balance. Dark chocolate, creamy coffee and gingerbread to the fore, followed by rhubarb and vanilla custard. 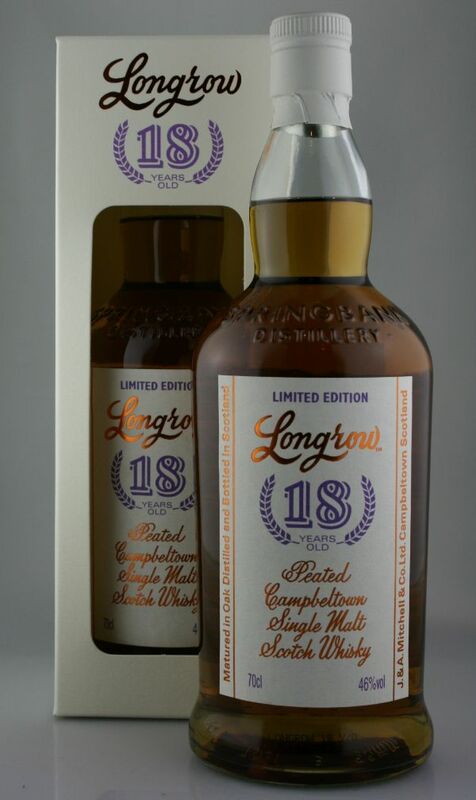 Finish: Long and sweet, a hint of typical Longrow peat smoke combined with more chocolate and some dried fruits.